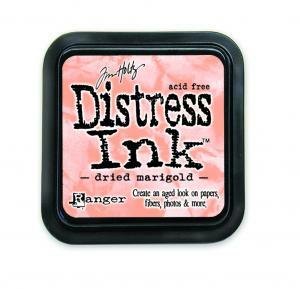 Dried Marigold is just one of the imaginatively named colours of distress ink pads by Tim Holtz. 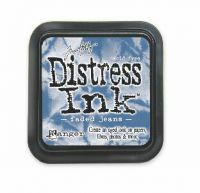 All the colours are designed to give a vintage or worn appearance to whatever surface they are used on. 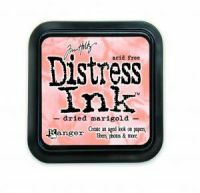 Acid free and fade resistant they are perfect for card making and scrapbooking and can even be used to give an aged look to photographs. The raised felt stamping surface is 5cm x 5cm.